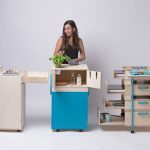 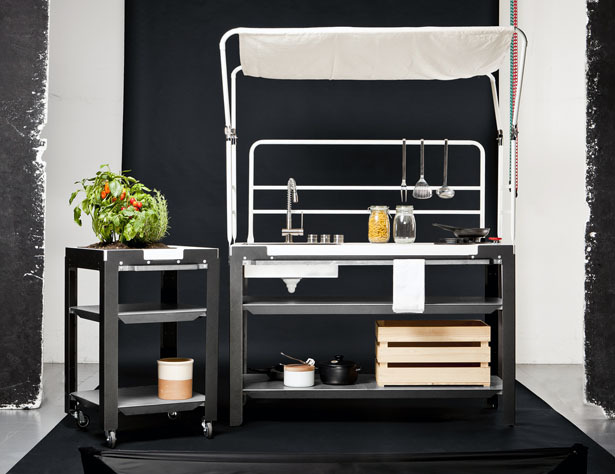 Satellite is an outdoor concept kitchen designed by Riccardo Randi, Riccardo Trabattoni, and Dario distefano as part of their thesis project at IED Milan. 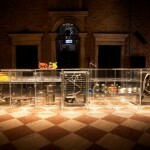 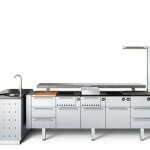 This kitchen system has been designed and developed for Schiffini, an Italian furniture manufacturer. 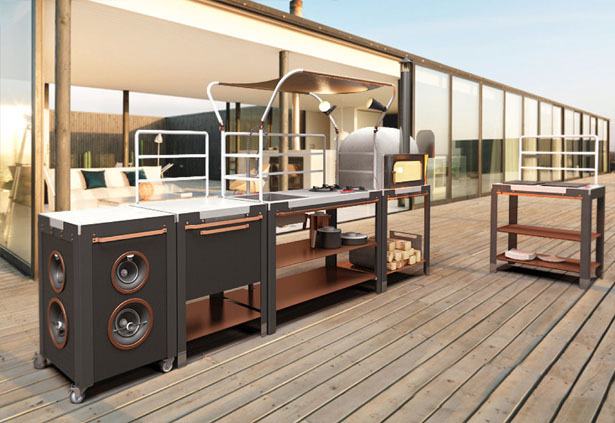 The main part of this system along with some modules allow you to communicate with interior of your house, it blends in harmony no matter how your kitchen look like. 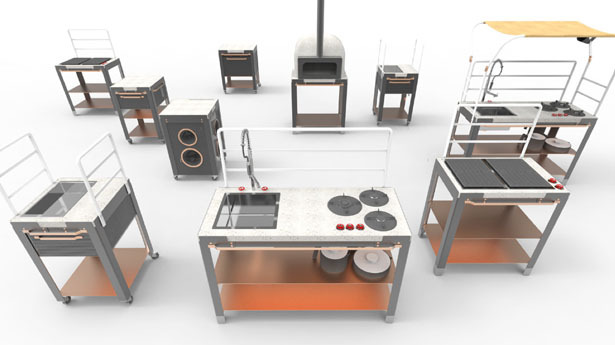 The modular design offers variety configurations to fit your kitchen layout, different person has different cooking style, thus, it can accommodate multiple scenarios as you need it to be. 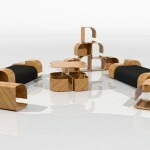 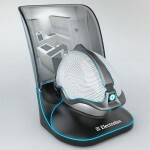 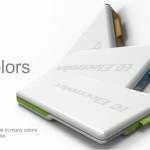 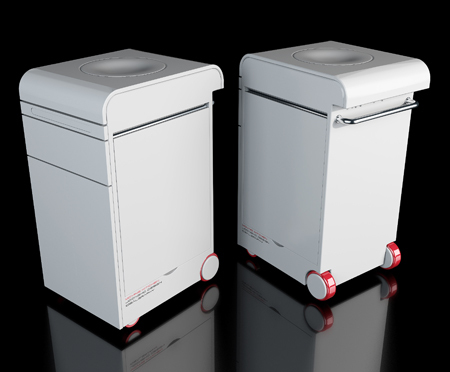 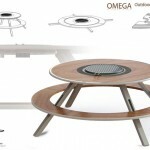 Its aluminum bent structure makes it easy to make and assemble, it is also very affordable to produce. 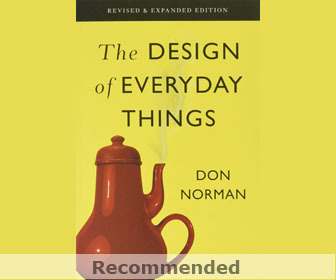 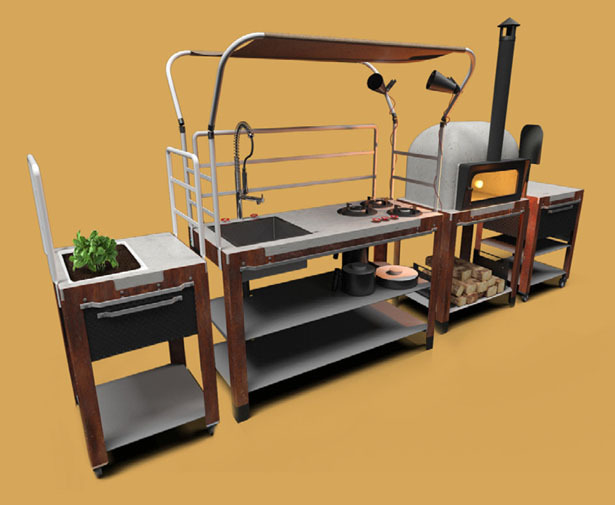 At this moment, these designers have designed some specific modules such as barbeques platform, wood ovens, cooking, gardening, and outdoor activities. 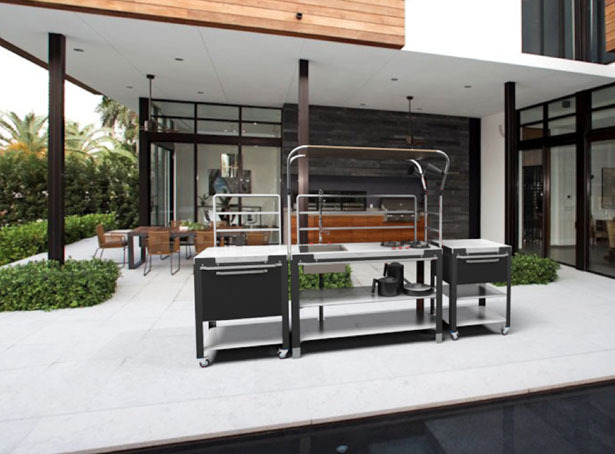 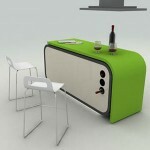 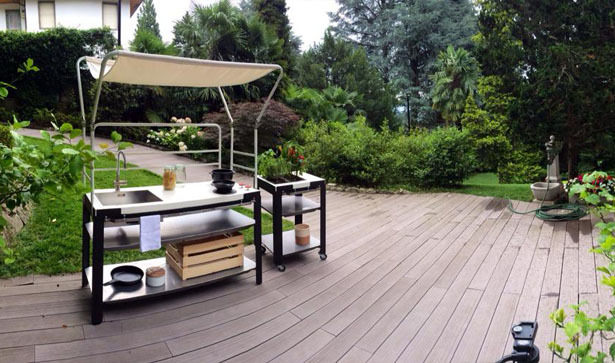 Tagged as cooking outdoor, modular outodor kitchen, outdoor kitchen, outdoor kitchen design, portable outdoor kitchen.